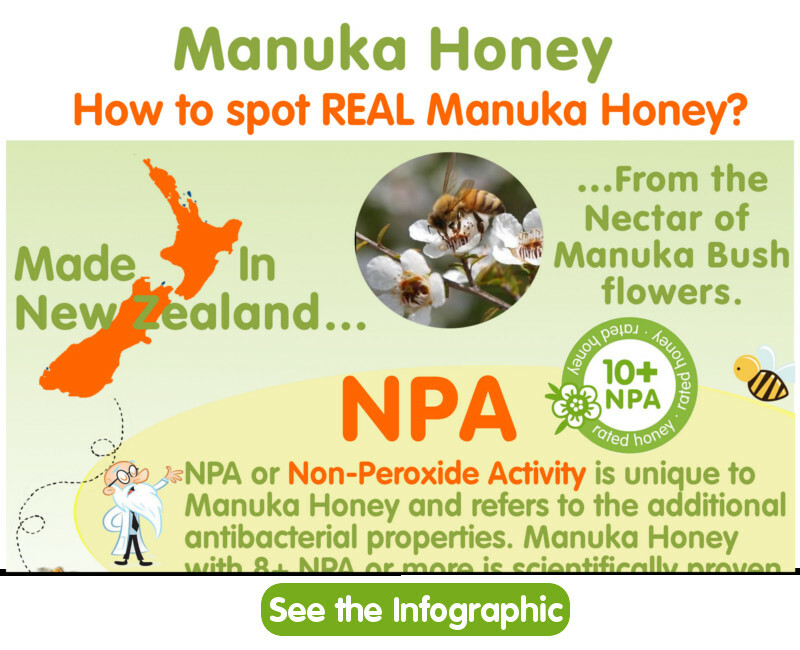 Peroxide Activity has mild anti-bacterial property however companies add the NPA & the Peroxide Activity which has mild therapeutic benefits together to achieve a higher score, not all Manuka Honey has NPA! 1. 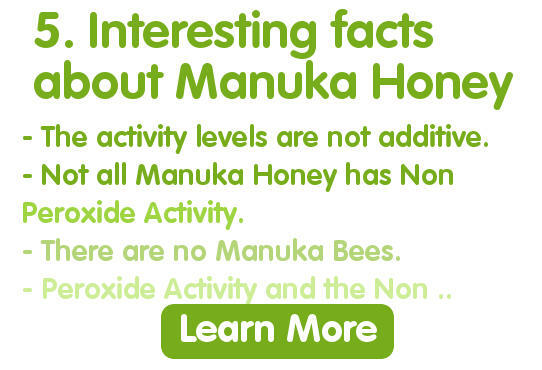 Don't go too high - If you see Manuka Honey for sale with a high activity score (NPA above 15+) you should ask to see the lab certificate for the honey and check that the peroxide activity hasn't been combined with the NPA rating. Also remember to inspect the honey to see if it has a dark brown color andtastes or smells slightly burnt or caramelized. If it is, it’s possible the honey isquite old or has been heated or ‘cooked’ to artificially increase the NPA rating and save a penny on packing yields. When honey is cooked it becomes denatured, the live enzymes are destroyed and levels of a compound called HMF which is mildly toxic in high quantities is increased in the honey. EU law requires HMF levels of honey to be below 40 mg / kg but the reality is that honey is rarely tested for HMF by government agencies so ‘cooked’ honey often goes undetected. 2. Don't go too low - Remember that all clinical and academic research into Manuka Honey has shown that even if genuine, Honey with an activity score below 8+ has no proven therapeutic benefits. Manuka Honey with low activity is perfect as a breakfast honey and will still have the distinctive manuka taste but don’t ascribe the amazing stories about Manuka Honey that abound in the media to Manuka Honey with low ratings. The goldilocks number of Manuka Honey - All the amazing research about Manuka Honey has been conducted with 10+ Manuka Honey or above. The ‘goldilocks’ activity score is 10+ to 15+. Green Bay has never sold Manuka Honey outside this range for the reasons above. All Our Manuka Honey is backed by our Quality Assurance promise - 100% New Zealand Active Manuka Honey; Genuine Certified Non Peroxide Activity (NPA), unpasteurised, not fine filtered and taste tested. The variation occurs in that the levels of activity in Manuka Honey was reported in a publication (Allen, K.L, Molan, P.C. and Reid, G.M, 1991. A survey of Antibacterial Activity of some New Zealand Honey’s, journal of pharmacy & pharmacology 43, 817-822), where it was noted that the present survey has shown not all samples said to be Manuka Honey can be relied upon to provide this antibacterial activity.